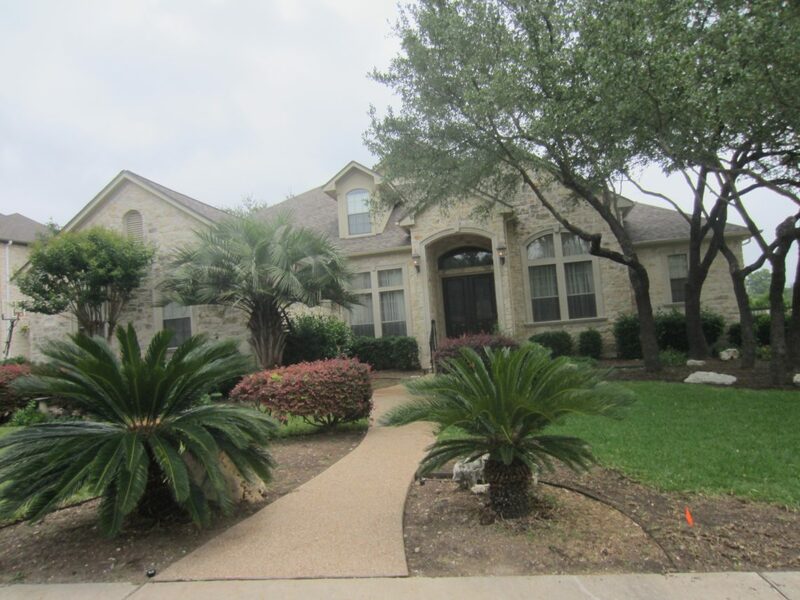 Need Solar Window Screens Or Insect Screens In Lakeway? We Can Do It. 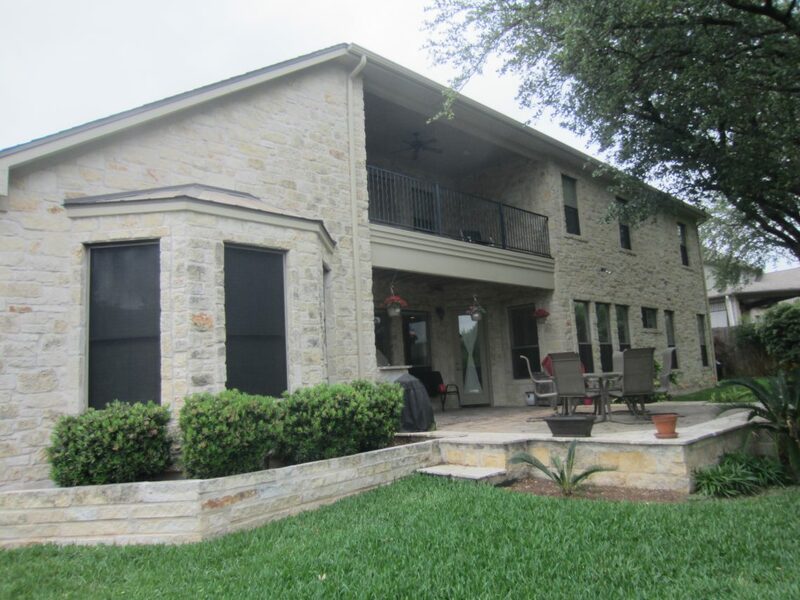 For this Lakeway, Texas home, we installed a total of 34 window screens. We installed seven solar window screens on the right side and back left corner, four of which we upgraded from the 80 percent fabric to the 90 percent fabric. And the remaining three received our 80 percent fabric. For the remaining 27 windows, we built and installed insect window screens. Insect window screens fit into the opening portion of the window, with the intent of keeping flying insects out of the home. Insect window screens do not fit over the entire window like a solar window screen does. Why not? Well, a solar window screen fits over the entire window, because its purpose is to provide shade for the entire window. An insect screen just fits into the area of the window that opens, because its purpose is to keep flying bugs from getting into the home. Insect screens are not designed to keep all bugs out. The only way to make a screen where it will keep all bugs out is to do so with an adhesive, gluing the screen to the framing of your window. By doing this, you will eliminate any areas around the framing of the screen from having a gap. That gap is how the crawling bugs will get in. Even though that gap is minimal, small crawling bugs like pill bugs and ants will still find their way inside. Unfortunately, gapping is unavoidable if you have a screen that is removable. This is the right side of the home, which faces west, and therefore this side of the home is the side where we used our 90 percent solar window shade fabric. Right side of Lakeway home showing solar window screens. These bottom left three windows also receive some of that afternoon sun, so the customer wanted to put solar screen fabric on these windows. Because these are not facing due west, and they only get a little bit of the afternoon sun, the customer chose to use the 80 percent solar screen fabric for these windows. For all of the rest of the windows, including those on the second floor patio, the first floor patio, and the remaining windows on the back of the home, the homeowner chose to use insect window screens. This section of the house is shaded by these large oak trees. Because these windows are shaded by the second floor and first floor patio coverings and these large oak trees, the homeowner did not need, nor want to use the solar window screens. However, he did want screens of some sort, so we used our insect window screens. 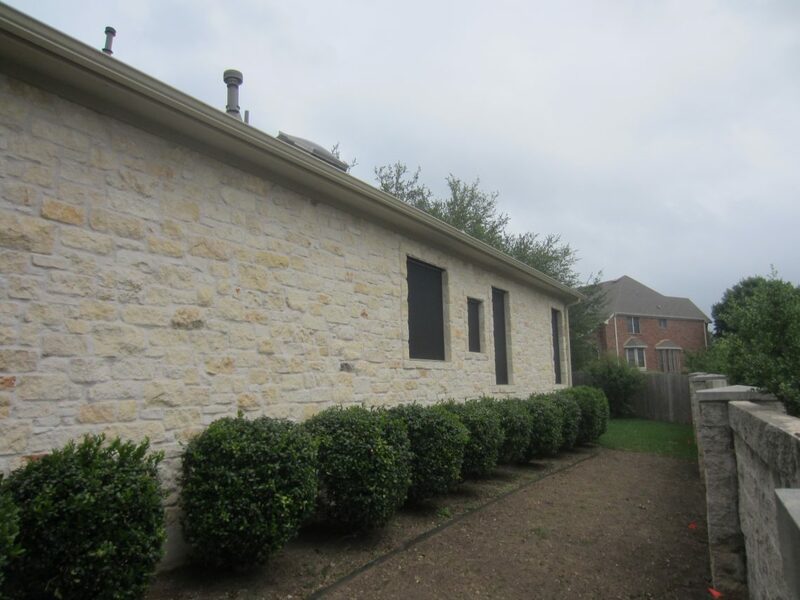 Back of Lakeway home showing solar window screens for the first floor bottom left windows, and insect bug window screens for the windows to the right and under the patio. 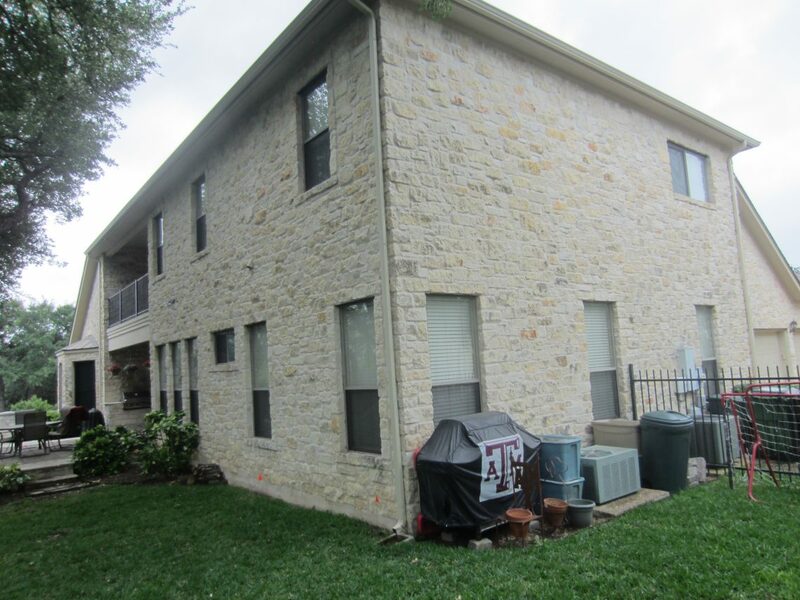 Insect bug window screens for all of these windows in this picture for this Lakeway Texas home. I charge a minimal amount for these Austin bug screens — I have what I call a flat rate pricing system for them. If we are doing a solar window screen installation for you (click here for our solar screen pricing page), and you would like to add some bug screens to the home, whether there be a need for one or Twenty, it is a flat $25 per window additional cost. If you are just looking to get bug screens, my minimum installed price for the bug screens is $380. For this $380, you get a measure trip, a delivery and installation trip, sales tax and 11 bug screens. Then, each additional bug screen up to 25 is $25 each. 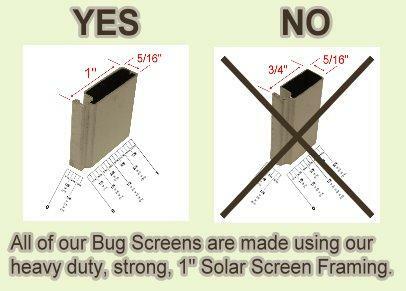 For any order of 26 or more stand-alone insect window screens, we flat rate the pricing to $25 per bug screen. That means the cost is not $380 plus $25 for each additional bug screen, rather it’s a flat $25 for all 26+ bug screens. This pricing is incredibly aggressive, and especially so because we use that one-inch heavy duty framing. If you have a Lakeway home and you’ve got a patio that you would like shade for, the answer is to install exterior patio roller shades. This picture shows what an exterior patio roll shade looks like. 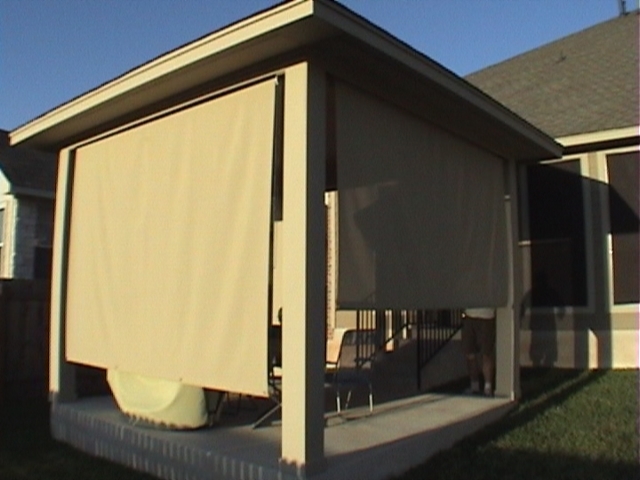 We have many more pictures of our Exterior Patio Roller Shades that you can access by looking at pictures pages. An outstanding way to learn about us and our products is to visit our shade screen reviews page where you will see many letters of customers that have used us.